Bioelectronic medicine example: device speeds nerve healing. Researchers based at Northwestern University and Washington University have demonstrated a bioeletronic device which stimulates faster nerve regeneration in a rat model, paving the way for “bioelectronic medicine”. Bioelectronics is a loosely defined field involving the use of electronic devices in biological applications, such as pacemakers. In a step forward for the field, US materials scientists and engineers have demonstrated the first example of what they call “bioelectronic medicine”, using an implanted, biodegradable device to speed nerve regeneration. Several years ago, Professor Wilson Ray, an expert in biomedical engineering and neurosurgery at Washington University, identified the need for electrical stimulation therapies to accelerate the healing of wounds following surgery. Ray and his colleagues were motivated to design a flexible device which wraps around an injured nerve and delivers electrical pulses – controlled wirelessly – before safely degrading in the body after a controlled period of time. This prevents the need for further surgery to remove the device. Rogers, Ray and their colleagues tested their thin, confetti-sized device in rats with damaged peripheral nerves in their legs following surgery. The device was used for an hour per day over varying recovery periods, while the researchers monitored the rats’ recovery. They found that the device accelerated the regeneration of nerves in their legs, resulting in stronger recovery of muscle strength and control. The more electrical stimulation the rats received, the better their recovery. 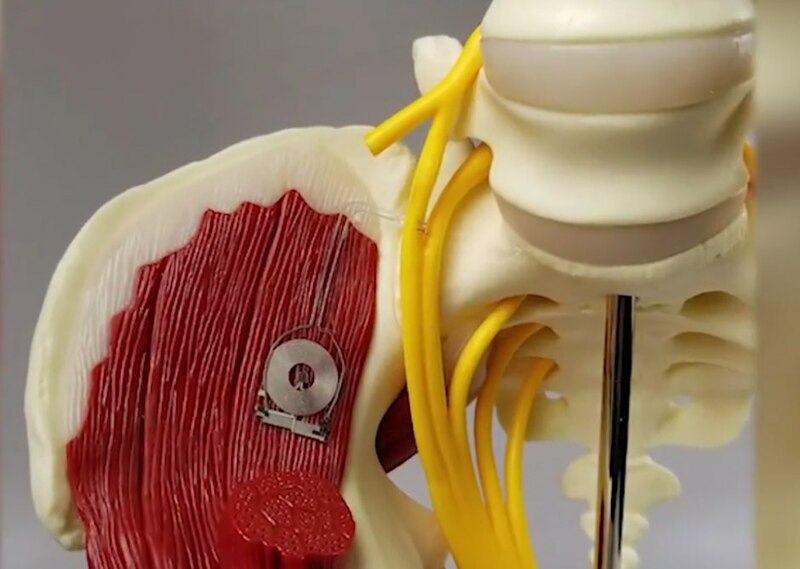 Additionally, the researchers demonstrated that the device can work as a temporary pacemaker and as an interface to other stimulation sites, including the spinal cord, opening up the possibility for using the device beyond the peripheral nervous system. The researchers plan to test the stimulation provided by the device for longer periods of time in the rat model and may eventually move on to testing a bioelectronic medical device in human subjects. Rogers and Ray hope that transient bioelectronic devices such as these could eventually complement or replace drug-based treatments for some medical conditions in a field referred to as “bioelectronic medicine”.